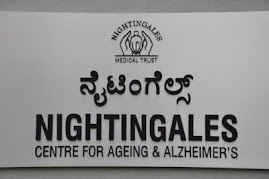 Alzheimer's Disease in India: Welcome to Silver Innings Website, Mumbai Maharashtra, India. 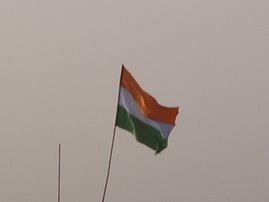 Welcome to Silver Innings Website, Mumbai Maharashtra, India. This website is dedicated to our elders; it’s our way of honouring them for all they have done for their families, society and country. We at Silver Innings are committed to ensure that ageing becomes a positive, rewarding experience for all. Ageing gracefully is the way of life we promote.We wish to help elders and their family members to overcome the challenges of ageing and show them the way to live with dignity in their sliver years. Silver Innings is a new beginning for our Elders. It is a new path, the journey of successful ageing. It is an initiative by four youngsters far removed in distance but united in the cause of Elders. Who’s afraid of Ageing is what this team believes in. It’s a team effort under the leadership of founder Sailesh Mishra. Sailesh’s passion to work for Elders made him give up paid jobs for good, and his long experience in the social sector inspired him to start on his own and set up Silver Innings, a one stop destination for information for the Elderly and their family members. 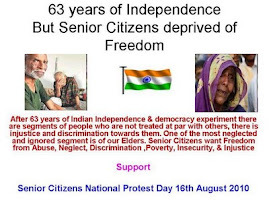 Based on his own perception and experience and also from feedback received from many seniors, Sailesh felt that information on Elders in the public domain is inaccurate, dated or incomplete. There are many website for seniors, but most of them are being run by organisations and provide info on service provided by themselves. But there is no website that gives objective and comprehensive information on the issues and problems of Elders. This brought forth the need of a dedicated website, like a super market where you get everything under a single roof. Sailesh took the lead and discussed this with his team and the seed of Silver Innings was sown. The team, with the help of some Elders, started working for the website. The team also wanted to disseminate through this website the concept of productive ageing, the new mantra for aging gracefully. It has been our endeavour to collect information for this website and make it comprehensive and interactive. However, since this is an ongoing process, we will keep on adding and updating. This website can only be successful through active participation of Elders and their family members. We sincerely hope our efforts will help our Elders to live a happy, peaceful and dignified life. 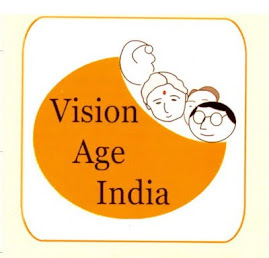 This is a new chapter in ageing world and we intend to start an NGO dedicated for the cause of Elderly.